Pianist, composer, broadcaster and University of Southampton professor David Owen Norris will perform live for the Wellington Lecture 2018 – playing and speaking about music associated with Arthur Wellesley, the 1st Duke of Wellington. The event, held annually at the University, is celebrating its 30th year and this year will take the form of a musical celebration, featuring a variety of pieces by composers, such as Beethoven, Rossini, Chopin, and the Earl of Mornington. Accompanied by Southampton singing students and members of the Southampton University Symphony Orchestra, Professor Owen Norris will explore the multi-faceted musical world of Wellington. The Duke’s name attached itself to many pieces of music. John Clare’s manuscript book of violin tunes contains a jig entitled Marquis Wellington, while Beethoven’s orchestral piece Wellington’s Victory (after the Battle of Vitoria in 1814) made its composer more money than any other work. Princess Charlotte of Wales composed Lord Wellington’s March. Its sumptuous gold-leafed manuscript is preserved amongst the papers of the Duke’s valet, held in Special Collections at the University’s Hartley Library. 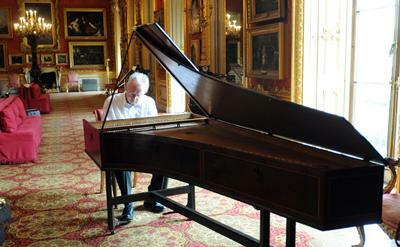 A recording of the piece performed by Professor Owen Norris on Wellington’s own piano at the Duke’s former home of Apsley House will be played at the lecture. The event will also include a piano sonata inspired by the Battle of Bella Rosa (the Spanish name for Waterloo), The Marquis of Wellington’s Victory at Salamanca by Mathias Holst, great-grandfather of the composer of The Planets and speeches by the Duke, set to music by Owen Norris in his 2015 political oratorio, Turning Points. David Owen Norris has performed all over the world since his appointment as the first ever Gilmore Artist in 1991, an award which recognises extraordinary piano artistry. 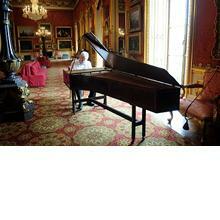 He has written many compositions, including a symphony and a piano concerto. His Chord of the Week programmes on BBC2 are a popular feature of the Proms and his many radio presentations have included the Playlist series on BBC Radio 4, and In Tune and The Works on BBC Radio 3. ‘The 30th Wellington Lecture: A concert for a Duke’ takes place at 1800 at the Turner Sims concert venue on the University of Southampton’s Highfield campus on Wednesday 17 October 2018. Professor David Owen Norris is the Head of Classical Performance and Professor of Music at the University of Southampton.